A.C. Technologies can help you design your local area network (LAN) or your wide area network (WAN). We will design your network from the ground up based up your needs and budget. From your wiring and data closets to your Internet connection we can help you solve your network issues. We used a wide range of products and manufacturers to meet your budget criteria or network specifications. We can design and implement a VPN solution for your needs. If it is the need to connect branches or remote users to your network in secure manner we can help you. We have different products to fit different budgets and criteria like Avaya, Cyberguard, Sonicwall and others. More and more employees are working from home or need to connect when on the road, and VPN's make this possible. Be it a star-topology or mesh-topology we can set up the VPN that is right for you and your business. No matter the hardware need we can handle your network needs. From small switches to closet switches to large core switches we have the solution for you. From servers to routers to backup power supplies to print servers A.C. Technologies has the answers for you. We are proud to be a provider of Extreme Networks data equipment, simply the best switches on the market. We also carry and install Linksys network solutions. Computers are an indispensable tool in the 21st century, and modern businesses are dependent upon them. Minimal down time, reliable backups, redundant safeguards, and secure Internet access are only a few of the items that make up a successful network. Let us help you make your network a stable backbone of your business that gives you peace of mind. 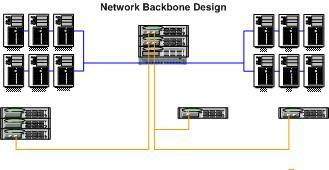 No matter how good your network hardware is, with out good network wiring your backbone is vulnerable. Let us install your CAT-5E or CAT-6 wring the right way. Too often wiring is exposed to fluorescent lights or electrical circuits that may lead to problems. Our technicians pull your wire runs and secure them in such a way to insure no such problems like those make your network less than it can be. We also have three 3M certified fiber termination technicians on staff to help you harness the incredible speed and distance of fiber. 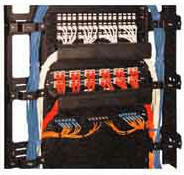 Imagine all your wire runs and fiber terminated to jacks or patch panels in a professional manner, that is the only way we do it. Windows 2000 Server, Windows 2000 Small Business Server, Windows 2003 Server, and Windows 2003 Small Business Server are excellent business platforms, but they require correct maintenance to optimize their performance. Let A.C. Technologies keep your systems updated with the most recent and applicable patches. Let us monitor your server's activities, we will make sure your server is healthy and at its peak performance. We can help protect your network from accidental data loss or malicious virus attacks. By using Tapeware or Backup Exec in conjunction with the appropriate tape hardware we can setup a tape backup rotation program for you. Through the use of software like DataSafe we can also backup your data across the network to a secure backup drive such as an Iomega Storecenter external network drive. Through software like Etrust, McAfee, Norton, or AVG we can create the right virus protection for your particular environment. We can also incorporate software to help to keep your systems unaffected by pesky spybots and annoying pop-ups. Your data and time are valuable, and both deserve to be protected. According to CSI/FBI reports virus attacks and denial of service (DOS) have outpaced theft of proprietary information as the top security incidents generating the largest financial losses among the U.S. firms. Annual total losses from virus attacks was estimated at $55 billion while losses from denial of service was at $26 billion. 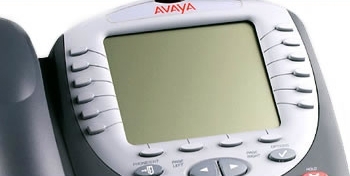 Some of the product lines we carry are Avaya, Cisco, Proxim, Extreme, Linksys, Cyberguard, Millan, Multi-Tech, D-Link, Zonet, Orinoco, Veritas, Symantec, Sonicwall, and more. We select the manufacturer that best fits your technical needs and budget.